MATERIAL:Made of stainless steel material, study and durable to use. SIZE:5.90*5.90*12.59 inch (15*15*32cm),Fits standard or jumbo-sized rolls,to replace, just slip roll over center post.This paper towel holder holds paper roll for easy access around sink or anywhere they are needed. 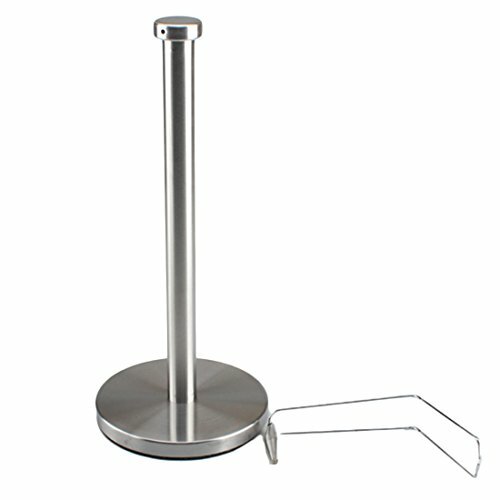 CONVENIENT:This sturdy holder looks great on your countertop while it keeps paper towels easy reach. WARN TIP:Avoid paper roll getting wet because of the wet ground. APPLICATION:Suitable for places like household, restaurants, hotels and more. If you have any questions about this product by Haoun, contact us by completing and submitting the form below. If you are looking for a specif part number, please include it with your message.